Recent fiction by Junot Díaz, Paul Kingsnorth, and Ali Smith offers an emergent project for contemporary world literature by yoking the history and politics of world literature to the history and politics of print. Books persist. The rise of the Internet and digital media has not decimated book culture. People continue to collect, restore, and cherish old books, and they also continue to purchase new books in print, even while branching out to audio and electronic formats. 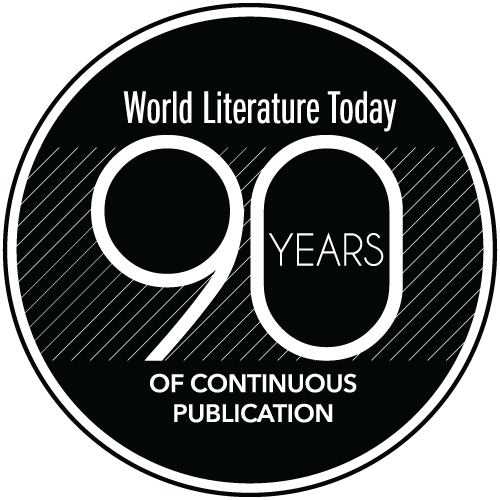 Some of the small presses that have nourished the publication of born-digital literature, such as Visual Editions, have also nourished the publication of new kinds of literature designed for paper, whose composition and distribution is made possible by digital technologies but whose embodiment in print is crucial to the content and operations of the work. The media scholar N. Katherine Hayles has written in this context about Jonathan Safran Foer’s Tree of Codes, which was published by Visual Editions in 2010. As readers will know, Foer’s work is an adaptation of The Street of Crocodiles, Celina Wieniewska’s English-language translation of Bruno Schulz’s 1934 collection of short stories, first published in Polish as Sklepy cynamonowe. 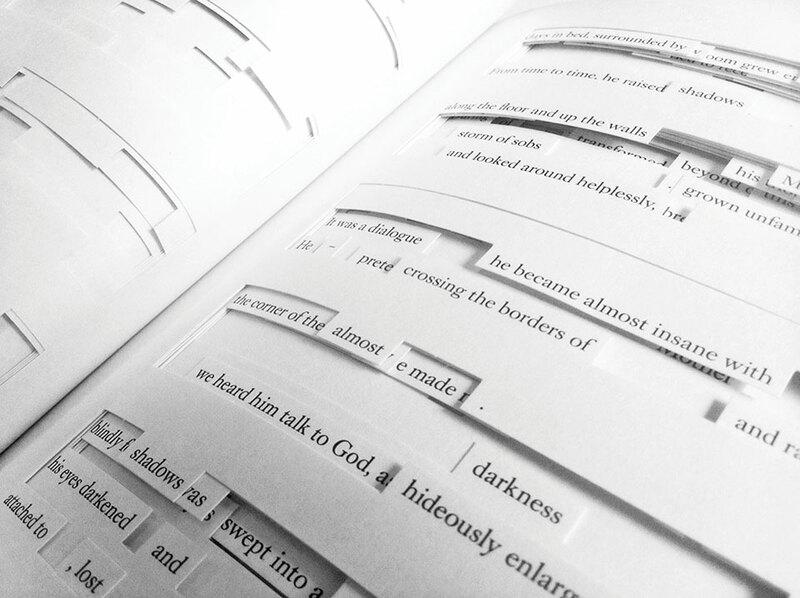 In Tree of Codes, Foer has cut out words from the pages of the book, so that we see both gaps (literal cutout spaces in the paper) and words from other pages, which lie beneath those gaps. Tree of Codes (the title itself involves paring away letters from The Street of Crocodiles) uses the codex—the structure of paper sheets lying one on top of the other—to engage readers in the turning of pages, encountering holes, and registering loss or absence. Moreover, as Hayles points out, the reader’s intensive experience of her own body is meant to evoke by contrast the unfelt loss of other bodies, especially the loss of the novel’s author, who was murdered by a Gestapo officer in 1942. Loss, gaps, and absence are a condition of the novel’s history, which Foer seeks to make palpable through his adaptation. Foer’s work registers the absence of English words but generally forgets—and allows readers to forget—the absence of Polish words. There is no direct reference in the text or in the afterword to the original language of the work. In this sense, Tree of Codes is interested in the history of the book but not especially interested in the history of books: their movement through the world in multiple editions and languages, their debt to translators, and their reliance on English as a medium of translation. Like many other recent works of world literature, Tree of Codes animates the medium specificity and sensuous effects of the printed page. However, works such as Junot Díaz’s This Is How You Lose Her, Paul Kingsnorth’s The Wake, and Ali Smith’s How to Be Both emphasize not only the experience of pages but also the experience of world languages on those pages: their font, shape, arrangement, spelling, punctuation; their absence; their presence; their appearance next to images; and their appearance as images produced through the arrangement of letters. These works utilize the resources of paper to reflect on the history and future of world literature. Many writers of the novel today know that books are not simply containers for language. They also establish the location of language. They do this, for example, by reproducing the national lexicon (the words that count as US English) while marking out and distinguishing, through italics, words that are foreign or outside that lexicon. Typographically, literary fiction since the nineteenth century has served to affirm the borders between local and global diction. 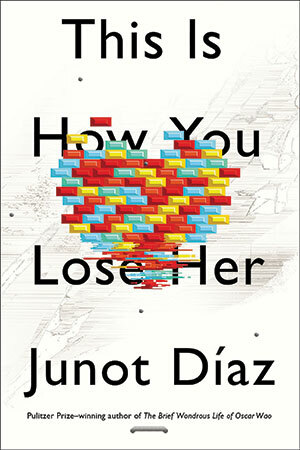 Junot Díaz makes this point—and upends it—in his 2012 collection of short stories, This Is How You Lose Her (see WLT, Mar. 2013, 138). Díaz’s fiction is concerned with the relationship between English and Spanish. When his works move into other languages, translators have had to figure out how to communicate the formal dimensions of that theme. In particular, they’ve had to grapple with his selective use of italics, in which many but not all Spanish words are presented, alongside English words, in roman font. 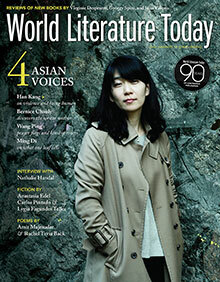 How do you translate a work of US fiction in which some words are local and foreign at the same time? The multilingualism of the page is also important to Paul Kingsnorth’s breakout novel, The Wake (see WLT, Jan. 2016, 60). Summoning a time before anglophone was anglophone, Kingsnorth’s project manages to be both antiquarian and avant-garde. Written in a kind of modernized Anglo-Saxon, or Anglo-Saxonized English, The Wake (2015) tells the story of the Norman Conquest from the perspective of the conquered. In order to remind us that we are reading from an unassimilated point of view—that is, from the point of view of an Anglo-Saxon who has refused to incorporate French—Kingsnorth has restricted himself, wherever possible, to the words, sounds, punctuation, and orthography of pre-conquest England. But Kingsnorth goes further than this, for what we encounter is not simply “a pseudo-language intended to convey the feeling of the old language,” as he puts it, but the physical display of that language in some approximate imitation of its historical emergence as literature. Incorporating medieval and modern, Kingsnorth suggests that the normative technologies of the novel—the standardization of typeface and format, orthography and font—are complicit in the invisibility of English. The novel presents us with Anglo-Saxon vocabulary and also the lowercase letters and minimal punctuation that were used in medieval manuscripts, four hundred years before the appearance of print. In a “note on language” placed at the end of the book, Kingsnorth explains that he has sought to produce a “shadow tongue,” in which Anglo-Saxon could be apprehended beneath or within the experience of modern English. The linguistic experience is something between a new combined language—like Nadsat in A Clockwork Orange—and an English in the process of becoming, or trying not to become, modern. The typefaces, explained in yet another note, offer the most striking visual representation of the transition from Anglo-Saxon to anglophone. For the titling, the novel uses gothic blackletter font, modeled on the style of fifteenth-century handwriting. But most of the text appears in a version of Jenson, a roman-letter typeface invented for the printed book by Gutenberg disciple Nicolas Jenson. Incorporating medieval and modern, Kingsnorth shows that the normative technologies of the novel—the standardization of typeface and format, orthography and font—are complicit in the invisibility of English. We have forgotten the history of English. We have forgotten that English has a history. The Wake hopes to awaken our memory. Kingsnorth suggests that the flourishing of the English-language novel, represented by the triumph of contemporary anglophone fiction, is rooted in the physical brutality of the conquest. The novel presents that history while also seeking to inaugurate an alternative, localist future. It associates that future with the return to small-scale book production and the turn away from large-scale financing. 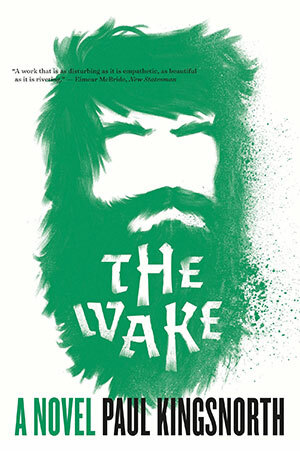 The Wake was first manufactured by the crowd-sourced publisher Unbound, and UK editions list early supporters in the back pages of the printed book. Versa Press, an independent printer based in East Peoria, Illinois, manufactured the US edition. Eschewing the globalization of bookmaking and book marketing, Kingsnorth’s novel thus yokes the history and politics of languages to the history and politics of print. Like Kingsnorth, Ali Smith asks us to consider the words, voices, and agents that precede or lie beneath the book we hold in our hands. 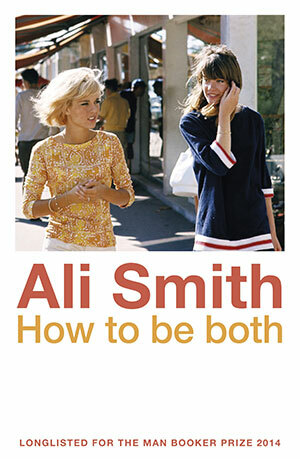 Smith’s How to Be Both (2014) evokes multiple languages by generating the impression of multiple narratives, books, historical periods, and media. The novel emphasizes not only the history of writing but also, like our other examples, the typographic representation of that writing. The characters make free use of smartphones and iPads and other digital technologies, but the work relies on the codex and on the reader’s visual experience of letters and shapes on the page. The work is thus “post-digital” or “bookish” in the sense used by Jessica Pressman. It reaffirms the technologies of the book while benefitting—through composition, format, design, and circulation—from the technologies of the computer. Insisting on the book becomes a way to make the reader’s body participate in the text, to be sure. But it is also a way to make the reader a kind of instigator or operator of the text. The narrative provides an apt image for this process when it tells us that one of main characters, George, re-watches the same iPad video over and over again. She does this, she says, because she wants to witness the “happening,” by which she means the fact of circulation rather than the represented acts. We too are asked to witness the happening: the way the book presents itself to us, the way its words and ideas visually and figuratively twist into other words, and our experience as readers and handlers of the object. The reader’s experience is inseparable from the novel’s plot. How to Be Both folds circulation into production most explicitly by drawing our attention to the book’s two parts. One part is presented in the first person by the ghost of a fifteenth-century Italian painter known as Francescho, and the other is presented in the third person but related through the perspective of a twenty-first-century teenage girl known as George. Both parts are titled “one” on the pages that precede each section. Instead of enumerating, first part and second part, the titles seem instead to echo or split, first part and first part. The book’s parts consist of stories that are one but not the only one. They are one but made up of other, no longer visible ones. Each part is less uniform, less distinct, and less original than the designation “one” usually implies. This play on the distinctiveness and chronology of parts is important to our understanding about the distinctness and chronology of the novel’s characters. While it may at first appear that the novel has given us a story about a person in the far past and a story about a person now, it turns out that each story is both ghostly and prescient in its own way, with traces of the other story appearing before and also after the story we are reading. The novel offers a variety of ways of conceiving of this kind of ghosting, which is both foreshadowing and back-shadowing, intimation of what is to come and of what has already been. There is also ghostliness at the level of language. We can observe all the names that are intimated but never cited or revealed in the text. Those include the name of the painter-narrator, born a girl, who chooses the name Francescho so that she, now he, can have a career as an artist. Francescho chooses a boy’s name that reminds him of his mother’s “French-sounding name,” but the originals (his name and hers) remain unspoken. Relating his plan for a painting, the painter-narrator relates the plan of the narrative: to “tell a story, but tell it more than one / way at once, and tell another underneath it / up-rising through the skin of it.” These words are placed on the page with visual breaks, known in poetry as enjambments, so that we experience “more than one” meaning in the word “one.” The unmentioned names of the story point to differences of gender and language, as do many other references to unrepresented words that the narrator doesn’t know and doesn’t repeat; or represented words that are, he explains, not the right word. Those not-right words include an extended passage in English based on a passage that has been rendered from Italian by Google Translate. We see only the Google Translate version; the original Italian and the corrected English are never given. How to Be Both imagines literary history as a twisting together of many languages and versions of the work rather than a single, monolingual progression. In addition to the multiplication of narratives and implied languages within Smith’s novel, there is also—famously—more than one book, even in English and even in what appears to be one edition. In the UK and the US, Smith’s novel has been released in two different versions: some copies begin with George’s section, and some with Francescho’s. In this most direct way, book and narrative are always “both”—two books, two narratives, book and narrative intertwined—rather than only one. We have to manipulate the book, and possibly purchase more than one book, in order to read the whole novel; but of course this process makes it impossible to conceive of only one, or any unique, novel at all. There can be no first or original edition, and in this sense How to Be Both imagines literary history as a twisting together of many languages and versions of the work rather than a single, monolingual progression. In works by Díaz, Kingsnorth, and Smith, we see an emergent project for world literature: using the properties of books to involve readers in the properties of languages. Anglophone writing expresses its worldliness by exploiting, honoring, and contesting the function of print. And this is true even when the anglophone text appears in formats well beyond print. The current digital environment makes it easier to manufacture and deliver books, as I’ve suggested, but it also creates opportunities for greater variation and combination across media. Jhumpa Lahiri’s recent memoir, composed in Italian and translated into English by Ann Goldstein, has been published in cloth, digital, and audio editions. Appearing in English as In Other Words, the print edition features facing-page translation, while the digital edition allows readers to toggle at any moment between English and Italian “pages.” In the audio version, the book is read in both languages. In each case, the work explores the theme of “other words” by displaying the history of its own translation and by inviting readers to consider how many words—in how many languages—constitute the work. Does one read and hear only a single language, or does one need to read and hear both? The dual-language editions remind us that languages, like books, are never alone. There are always other words. And there are always more than words. The digital environment may enable circulation, but writers remain fascinated by constraint: what limits and shapes the words that appear, and the words we can no longer see. 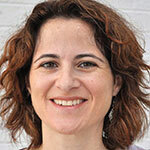 Rebecca L. Walkowitz is associate professor and director of graduate studies in the Department of English and affiliate faculty in Comparative Literature at Rutgers University. She is the author of Cosmopolitan Style: Modernism beyond the Nation (2006) and Born Translated: The Contemporary Novel in an Age of World Literature (2015) and editor or coeditor of eight books, including A New Vocabulary for Global Modernism (2016).